A chance to see two very special groups in one night; the Jason Yarde Trio with Mike Pickering (drums) and Larry Bartley (bass) and ‘My Duo’ where Jason is joined by pianist Andrew McCormack. 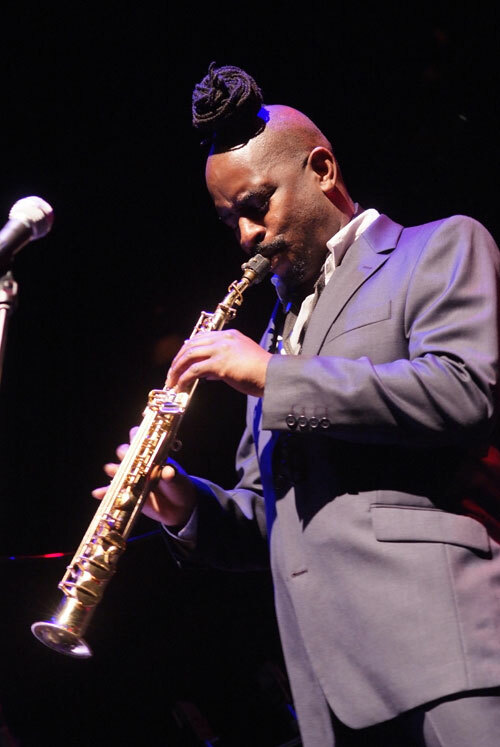 Composer, arranger, producer, musical director and saxophonist Jason Yarde writes music that has been described as powerful, spiritual, evocative, rhapsodic, hair-raising and formidable. He composes across variety of styles (progressive jazz, classical, hip-hop fusion, free improvisation, broken beats, R&B, reggae, soul, song writing) and for a variety of media (orchestras, chamber ensembles, big band, dance, film, electro-acoustic and midi). His potential and originality is such that he was nominated for the Bird Award at the 2004 North Sea Jazz Festival and for the Jazz on 3 Innovation Award for the 2005 and 2006 BBC Jazz Awards. In contrast to playing in the big bands of Andrew Hill, McCoy Tyner, Sam Rivers, Hermeto Pascoal, Roy Ayers, Manu Dibango and his own Acoutastic Bombastic... Trio WAH! is a chance to hear Yarde's playing and compositions in an intimate and stripped down setting. From tight and constantly shifting rhythmic patterns to free flowing rhapsodic episodes. Trio WAH! can cover the calm and the storm within a few bars never losing the important elements of rhythm, melody and even harmony in this exposed format. The trio features Larry Bartley on Double Bass and Mike Pickering on Drums. ‘My Duo’ with Andrew McCormack showcases a vastly different set of music with lush piano harmony complementing Jason’s saxophone playing. Andrew was the winner the BBC Jazz Award for ‘Rising Star’ in 2006 and his first album with Jason has been incredibly well-received by British jazz critics.